Some anatomical studies have indicated that the anterolateral ligament (ALL) of the knee is distinct ligamentous structure in humans. 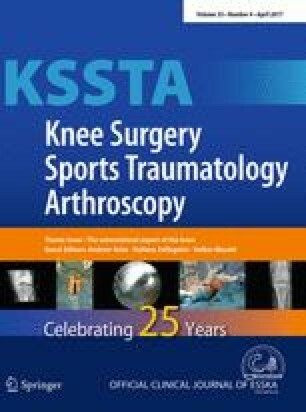 The purpose of this study is to compare the lateral anatomy of the knee among human and various animal specimens. Fifty-eight fresh-frozen knee specimens, from 24 different animal species, were used for this anatomical study. The same researchers dissected all the specimens in this study, and dissections were performed in a careful and standardized manner. An ALL was not found in any of the 58 knees dissected. Another interesting finding in this study is that some primate species (the prosimians: the red and black and white lemurs) have two LCLs. The clinical relevance of this study is the lack of isolation of the ALL as a unique structure in animal species. Therefore, precaution is recommended before assessing the need for surgery to reconstruct the ALL as a singular ligament. The authors thank Cindy Stadler DVM and the Pittsburgh Zoo staff for all their help with the animal species. We also thank Monica Linde-Rosen for all the help with the laboratory work. This study was financed by a grant from the Heinz Endowments.